Galapagos Jurassic Fir Bark is for Humidity-Loving Reptiles. Our bedding is made from 100% Douglas Fir Bark. We use a smaller bark size to facilitate feeding, crawling and slithering. It is a perfect substrate for Tree Pythons, Basilisks, Tomato Frogs, Milk Snakes, Burmese Pythons, Iguanas, Russian Tortoises, Boa Constrictors, Gopher Snakes and similar species. 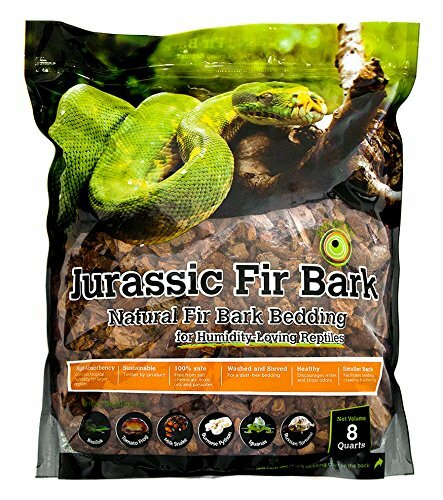 Jurassic Fir Bark comes in an 8QT resealable bag.